Thiem: so you telling me there is a chance! only needs 6 games to eliminate Thiem. I think even 5 would be enough. In any case, not a chance. 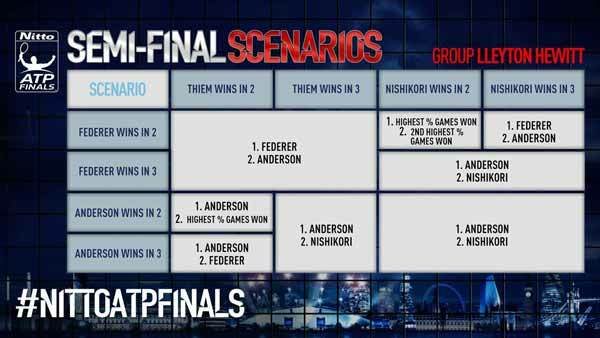 1-6 would be equal and then Federer would advance on better ranking.